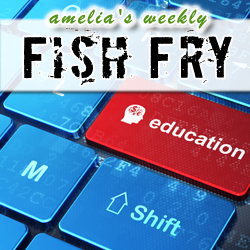 This week Fish Fry is all about technological innovation in education. From kindergarten to college, from Malaysia to Texas, we look into recent technological advances that aim to even the educational playing field in the United States and across the globe. My first guest is Scott McDonald (Rorke Global Solutions). Scott unveils Rorke’s new digital learning system and discusses with me how Rorke was motivated to break ground on this high tech education revolution. (We also throw in some basketball trash talk.) Keeping with our education theme, Silicon Cloud International CEO Mojy Chian joins Fish Fry to explore the future of cloud computing and how Silicon Clould International’s educational cloud centers hope to create a whole new generation of chip designers.